It was late in the afternoon when the stagecoach reached the lush Meridell countryside. Arthur held the talisman in his hand, his fingers curled around its edges, gazing into the flawless ruby adorned in its center. He could see his own glaring reflection, his eyes squinting, contorted into a rigid frown. It had an intricate design, nothing like any other of its kind he had seen before; its base was carved into what looked like tendrils wrapping themselves around the jewel, like a squid ensnaring its prey. He flipped the talisman over, on the back was a carving of a strange winged creature that he could not recognize; its body covered in scales and it had wings comparable in appearance to that of a Shoyru or a Draik. He noticed that the creature’s head looked like it belonged to some sort of sea-creature. It reminded him of a mutant Kau, with the slimy skin, multiple eyes and squid-like tendrils protruding from its mouth. Where its eyes should have been, were two slits of red gems cut into a thin triangular shape, as if they were glaring, bloodshot eyes. Somehow, he could feel that it was staring back, peering through his gaze, into his very mind. He raised his head and looked out the stagecoach window, severing eye contact with the trinket. He had traveled throughout much of Neopia for the past few days, from the grand Archives of Altador, to the vast libraries of Brightvale and the blistering hilltops of Terror Mountain, only to leave empty handed. The artifact was as much a mystery to them as it was to him, but he was not so eager to give up so easily. There was more to this talisman and he was not going to give up until he had found some answers. There was a screech. The stagecoach came to a sudden stop just outside the marketplace. The doors swung open as Arthur jumped out. He made sure to thank the driver before he set out on his way. Arthur procured a rolled up, crumpled scrap of paper from his satchel. On it was a crudely drawn map with a list of directions to a specific spot somewhere within the plaza. He made his way through, studying the map as carefully as he could. It wasn’t long before he located the place he was looking for. He found himself standing in front of an old brick building that had clearly seen better days. Ivy and moss covered the walls and cracks were strewn all around the exterior, as if the structure itself was ready to crumble to dust at any moment. The wooden double doors were worn and marked with years of all sorts of damage from the elements, from peeling paint to scorch scars. He walked in, the rusted hinges screeched in defiance of the swinging door. A dusty haze filled the room, settling on every surface. A chill ran down his spine when the soles of his feet met the cold stone floor. His eyes strained as they adjusted to the dimly lit space. Inside the little shop were rows of shelves filled with scrolls, books and vials as well as amulets, talismans and other trinkets of various shapes and sizes lining the cabinets. What was coating the walls was a different story; small statues, wooden carvings of figurines and what looked like tribal masks, all sorts of relics and artifacts from the various provinces filled in the rest of the space between the shelves and cabinets. Within seconds an elderly Bori emerged from the shadows, walking into the light. His clothes were slightly tattered, but he appeared to be in good health as far as Arthur could tell. The appraiser reached out his hand and gently took the talisman. He held it in front of him, the ruby glinting in the sunlight pouring in through the open window. “Hmm…interesting, this one is quite delicately crafted. I can see a lot of care was put into the handiwork,” he said, eyeing the mystical trinket with utmost curiosity. Arthur just stared back as the Bori studied it. Finally, his eyelids lowered. His expression turned from superstitious interest to a frown. “Yes, these types are very rare and very obscure too,” he raised his head to meet Arthur’s gaze, “where did you get this?” the appraiser asked, staring eye to eye with the Zafara. “From a deserted cavern.” Arthur said. “Where?” This time his tone was noticeably firm, catching Arthur slightly off guard. The Bori stared at him for a moment, then turned his gaze back to the talisman. He turned to the bookshelf behind him, sifted through several books and then dragged one out, slamming it onto the stone table. Arthur let out a raspy cough, shutting his eyes as he was enveloped in clouds of dust. He waited as the elder Bori skimmed through the pages, keeping a keen eye on the talisman. For a long while he studied the trinket. Arthur stood there patiently, not uttering a single word, until finally the silence was broken. The Bori grabbed the book and slammed it shut, scattering more dust into the air, forcing Arthur to let out another coughing fit. He found himself staring into the carving of the strange winged creature once again; the inexplicable sensation Arthur felt earlier came rushing back. For a short time, Arthur just stared back, his eyes wide with the most superstitious curiosity. As the appraiser rambled on, a passing cloud blocked the sun, dimming the light shining through the window. Arthur’s eyes were drawn to the delicate ruby encrusted on the trinket. His eyes suddenly widened. In the moment before the sunlight crept back into the room, he could have sworn he saw a weak ethereal gleam emanate from the jewel. But this time it was different, rather than shine in the light, it seemed to subdue into a darker shade of red. Did that ruby just glow? He thought. “Ah, that is for you to decide. You could hold onto it, wear it proudly as a token of your adventures and a constant reminder of the reward your curiosity, or being the Zafara that you are, what your luck brings to you. Or, you could simply sell it to the highest bidder. After all, there are many who would give their entire fortune to get their hands on such a mystical artifact like this.” The Bori chuckled as he spoke the last few words, ending with a grin. The appraiser’s smile quickly faded away, morphing into a frail frown. Arthur turned back to leave, in that instant he was snatched by the arm. He jumped in shock, his eyes wide as he found himself staring into a piercing gaze. “But heed this. You must be extra careful. There are many, many great powers in this world and none of them are to be taken lightly.” He said, before releasing his firm grip on the Zafara’s arm. Arthur stared back for a few seconds. He bid the appraiser farewell as he walked out of the derelict shop. When the creaky door closed with a screeching wail, the Bori let out a sigh. Arthur eyed the shiny pendant as he walked, the ruby glistening in the sunlight, reflecting his gaze. He was relieved to have been given some answers after all this time. It was as he thought; the talisman’s previous owner was a sorcerer, likely a very powerful one. Yet, he was not buying the story that it may have turned out to be just a worthless collector’s item doomed to rust in some neglected safety deposit box for all eternity. To think that the appraiser had actually insisted he get rid of such a mystical trinket to some collector was absurd; there was absolutely no way he was going to part with such an item. He curled his fingers, clutching the edges of the talisman with a firm grip, almost as if to crush it in his bare hands. He couldn’t hold back a hunch that there was much more to the talisman than met the eye and his insatiable curiosity was too strong to resist. He noticed a path leading to a lush, clear meadow on the outskirts of the town. He checked his pocket watch; there was still some time before his ride back to Neopia Central would arrive. Stuffing it back into his satchel, he dashed through the countryside towards the field. The next stagecoach could wait. Arthur came to a stop at the center of the meadow. He procured the talisman from his satchel and observed his surroundings. There was no one anywhere in sight, nothing but the gentle breeze as his only company. He wrapped the talisman around his neck and held it in one hand. He closed his eyes, the talisman secure in his grasp. He could feel his energy leaving him, the warmth in his body seeping away from his heart, spreading down to the tips of his fingers, fusing with the ancient trinket. After a short while he let go. He felt drained, as if he had dashed for a whole mile at top speed without rest, his limbs ached and he felt slightly dizzy. He waited for a bit and let his body recover. He could only wonder if what the elder Bori had said was true. Now he was going to find out for sure. He took a deep breath, reached out his arm and focused, a speck of light sparked to life above his palm. His eyes bolted open, a strong, mystical energy radiated from the talisman, the jewel flaring up in a cerise glow. All of a sudden he was filled with overwhelming vitality, his connection to the magical prowess within him had amplified! But by how much exactly? He looked around; he was surrounded by tall grass swaying in the breeze and several small pebbles and rocks strewn across the ground. The idea came swiftly to him. He began to concentrate; he lifted his arms and waved them around, suddenly the wind began to pick up, encircling him, swaying the grass in a circular form. Then loose stones; dirt and small pebbles began to tremor, sliding across the earth, dragging on the soil before being carried into the air. Droplets of water extracted from the ground and bits of grass and twigs lifted off and joined the debris. He waved his arms around some more; the water swirled in sync with the loose stones and bits of rock in the air, forming a small whirlwind around the Zafara. Arthur focused his energy, this time towards his hands, heat emitted off the tips of his fingers before tiny embers sparked to life, growing larger as they formed into fireballs. He let the flames go, casting them out into the air around him, fusing instantly with his artificial vortex. He knew he had to tap further within, there had to be more to spare than this! Surely drawing just a little bit more shouldn’t hurt. He tightened his grip, drawing more power from the amulet. The earth beneath him began to rumble, cracks breaking through the surface of the rough soil. Chunks of earth and rock, some rooted in deep into the ground, tore through and lifted off into the air, creating a small crater around him. Streams of water, extracted from the grass and plants surrounding the vortex, whirled in perfect synchronicity. There was only one more element missing from the mix. He held his hands close together, fingers an inch away from each other. Within seconds sparks emitted from his fingertips. Spreading them apart, the sparks became bolts of lightning, arcing the farther his extended his arms. He outstretched them all the way, casting lightning into the cyclone. The plasma bounced off the rocks, forming arcs as it made its way up the whirlwind, bathing the surrounding area in bright flashes of light before quickly dissipating. Arthur gasped in astonishment, he was in complete, total control; water, fire, air and earth, everything bended to his will with relative ease. He relinquished his grip, cutting off the flow of magic surging through him. The whirlwind dissolved, casting all the debris back down to the earth. He stared in surprise at the mystical talisman. The appraiser was indeed right! 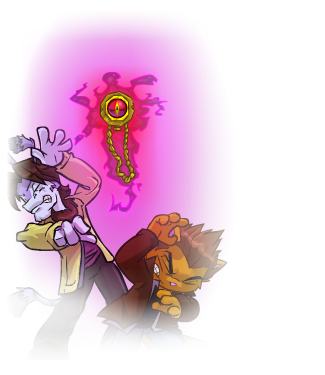 Not only was a piece of ancient history in his very grasp, but also a powerful trinket that could enhance his own magical abilities! He was nearly at a loss for words, struck with a strong feeling of euphoria, he felt unstoppable! He was an apprentice mage and still had a long way to go, he knew, but at that very moment he felt truly powerful, perhaps strong enough to match even the Darkest Faerie herself. He checked his pocket watch. It was almost evening. Clenching his pristine prized possession in his hand, he slipped it back into his satchel as he ran back up the dirt road to Meridell. Up until that moment, he had not felt so homesick. Parlebb and Clara must be worried sick about me. I bet they’re thinking about what to have for dinner tonight. I sure hope I can make it back in time, wouldn’t want to miss out! Soon enough he found a nearby stagecoach to take him back home. But when he approached he saw that it was very crowded with barely enough room for one more. With a frown and an irritated sigh, he stepped inside and sat down in an uncomfortable, cramped space, setting his satchel on his lap. He braced himself. It was going to be a long trip. Arthur was relieved when he finally burst through the doors of his home in Neopia Central. It was quite late at night. He was tired; his legs ached from sitting in a cramped stagecoach for several hours with not enough room to stretch his legs even for a moment, let alone walking all the way from the stop at the center of the marketplace all the way back home. Not a single candle or lantern was lit in the entire house. Shadows concealed the foyer in a thick shroud of pitch-black darkness. He gently closed the front door behind him, a soft clack as the lock clicked into place. He moved slowly and quietly down the dark hallway, slipping into the shadows. His only guides were the sound of his feet walking amongst the wooden floorboards and plush carpets and his hands feeling the cold walls. Within minutes his knuckles bumped against the edges of a doorframe. Turning to his side he reached out blindly in the dark and grasped a doorknob. He cautiously opened the door and slipped into the room. His eyes strained as the cool tint of moonlight seeped in, burning his sensitive eyes. It didn’t take long for his vision to adjust, when he caught sight of a large bed right beside the window. Breathing a sigh of relief, Arthur walked over and slumped onto the bed, lying on his side, not bothering to tuck under the sheets. Within seconds he closed his eyes and slipped out of consciousness. Arthur’s eyes slid open as he felt a tug on his tail. Lazily, he stirred, a young blue Yurble stood beside him with his arms crossed. “Oh…good morning, Parlebb.” Arthur said, his voice almost a whisper. Raising his head slightly, he observed his surroundings. The mid-morning sun shined through the window, lighting up the room in a reddish-orange tint, giving a harsh glare on the dark blue walls beside the bed. Below the window was a desk, mostly bare save for a rack holstering a pair of sharp, thin steel katanas, the stainless gold-trimmed hilts glinting in the sunlight. A dusty bookshelf lay undisturbed just beside the desk, its contents empty. He stirred to the sound of tearing fabric as a Morkou rattled in its wicker bed, waking with a yawn. “I’m in your bed aren’t I?” Arthur whispered again. “It’s the only one.” Parlebb responded in a resigned tone. He forced his weary body to move as he left the comfort of the bed, laying his feet on the floor. Arthur frowned at him. He looked down at the talisman for a moment, then back to his brother. “Yeah, it’s a piece of junk worth a fortune!” Arthur said with a grin. As Arthur walked out into the hallway, he heard a soft growl as he closed the door behind him. He made his way to the kitchen, rummaging through the fridge. He hadn’t eaten much during his trip through Meridell, as he had diminished the last of the food he brought the night before he boarded the stagecoach. He could eat just about anything right now. Just then his ears twitched, Arthur twisted his neck, looking over his shoulder, his little sister, Clara, stood by the doorframe, her eyes wide with joy. He was about to greet her, but within moments she tackled him, wrapping her arms around his waist, almost knocking the young Zafara onto the cold floor. He recounted all the details of his trip throughout the past few days, from his visit to the Archives of Altador, meeting Tarla at Terror Mountain, exploring Brightvale’s many libraries and finally the appraisal shop in Meridell. Clara looked on in astonishment, hanging on to every word. “Wow. So it wasn’t a piece of junk after all!” Clara said. “Hey!” Arthur stared at her, crossing his arms. “Yeah, sure.” Arthur replied, rolling his eyes. All of a sudden she stopped laughing and slumped in her chair, head hung low. “Clara? Is something wrong?” Arthur said, noticing her behavior. “I remember there was nothing but darkness all around me. I was cold, alone, trapped in some pitch-black cave somewhere in…well, who knows where? I was wandering aimlessly, feeling the walls as I made my way around. Strangest thing is, I was walking in a straight path, but somehow I had the feeling I was descending, heading deeper into the depths with every step, I could feel the cold seep into my bones. I thought I was going to freeze to death. Then I saw something, a weak light in the distance. At first, I was afraid. I thought it was a pair of eyes staring at me from the darkness, like that creature that stalked us down in that haunted cavern. I wouldn’t have dared to move, but then I heard a soft voice call out my name. I can’t remember who it was, but it gave me the courage to keep moving. The light grew brighter as I approached. When I got close enough, I saw where it was coming from; there was a cloaked figure standing right in front of me wearing a talisman around his neck, just like the one you have! For a minute there was silence. Arthur’s mind was lost in thought; long, sharp claws and a feather tipped tail? There were many species that could have fit the description, like the Bori, Darigan Cybunny, Eyrie, Gelert, Tonu and…the Zafara. Arthur’s eyes widened for a moment, It couldn’t possibly be? He was about to ask her, but stopped himself at the last moment, shaking away the thought. Even then, there was no way to know, especially with what little Clara could recollect. Perhaps it was all just a dream, conjured from her anxieties? After all, not all dreams come to pass, he would know, at least not exactly scene for scene, word for word, or down to the tiniest detail. He could only hope. “No, it’s okay. I’m fine, really.” she replied, looking away from her older brother. The room was still. A few moments later a familiar voice broke the silence. The siblings turned towards the direction of the voice, Parlebb stood beside them, arms crossed, leaning against the doorframe. “You’re going to show us, right now?” Clara said, excited. With that, his younger siblings left the room. Arthur stood there, staring at the talisman, holding it in his hand. He couldn’t wait to show his friends and family his newfound powers. There was a knock on the front door. Arthur dashed through the foyer, swinging it open. A young green Kyrii let himself in, followed by a blue Wocky. “You know we never turn down an invitation to your place, Arth’!” the green Kyrii, Wiluite, said. “And that’s why we’re best friends!” Arthur replied, as he and his friend bumped fists. At that very instant a pink Zafara raced past him. Arthur didn’t have a second to react, as he was knocked back and crashed onto the floor. Wiluite snickered while Zemia just stared with a wry smile. “Ow! Jeez, Lithia that hurt! Are you trying to send me to the hospital?” Arthur exclaimed, grasping the back of his head. “Cool! So you have the power to turn pets into mortogs and stuff?” Wiluite said. Everyone had gathered in the backyard, sitting around a withering campfire. Arthur sat with his siblings on one side, while Wiluite, Zemia and Lithia sat together on the opposite. Arthur couldn’t hold back his excitement any longer. He kicked himself off the log, standing beside the sputtering flames. Holding the talisman in one hand, he closed his eyes and focused. He drew from his own magic stored within the talisman. In an instant he could feel the power coursing through his veins, newfound energy seeping into him. His eyes slid open. He spread his arms out and curled his fists. The ground began to tremor, thin cracks cut into the soil, shredding a path straight towards him. The cracks burst as chunks of the ground broke off, hovering into the air. Spotting a nearby boulder, he reached out. The boulder rose, tearing the earth as it was lifted off its foundation. He closed his fist; cracks formed all around the rock, until it broke apart into tiny bits and pieces. Reeling back his arm, the rocks drifted towards him, circling around the Zafara in an orbital pattern. “So you can lift boulders and break them to bits. But any mage worth his salt can do that.” Zemia said, clearly unimpressed. “Not so fast, Zemia! I was just warming up,” Arthur responded, turning towards her, “the real show is just starting! He cut off the flow of magic coursing through him, the rocks and chunks of earth crashed to the ground, scattering dirt and grass everywhere. He relished the challenge. He needed to step up his game. The daredevil within him had surfaced, as he stretched his arms, aimed straight at the campfire. He then lifted his hands high up into the air. In that moment the dying flames burst to life, engulfing the firewood in a roaring blaze. Wiluite, who was closest to the fire, flinched at the sudden blast of heat. “Whoa! Hot embers!” he exclaimed, backing up, only to stumble over the log, landing head over heels on the grass. Everyone let out a little laugh, especially Zemia, who snickered, giving a slight smile. “Yeah, I’m okay. Thanks for asking guys.” Wiluite said as he scrambled back to his feet. “That takes care of stoking the fire.” Lithia uttered, leaning in to catch the warmth of the blaze. “Oh right, I forgot. Everyone, stand way, way back!” Arthur said, realizing his careless mistake. “Jeez, thanks for the early warning Arth’.” Wiluite muttered under his breath, climbing back on the log, holding onto the edges to prevent from falling over again. With a wave of his arms, the flames rose up high into the air, towering over the group. He let his arms fall, the stream of fire rained down on him like a dragon breathing flames upon its prey, lighting up the ground in a blazing inferno, engulfing the Zafara. Clara flinched, shielding her sensitive eyes from the blinding glare. Wiluite reacted with alarm; he made a motion to rush to Arthur’s aid, but Lithia stopped him with a gesture. “Wait for it…” Lithia interjected. In moments the roaring blaze dissipated until just a thin layer of flickering fire remained, surrounding Arthur’s body like a cloak. He turned to face his friends. Everyone stared back in awe. Clara gawked in amazement. Parlebb hid his admiration through a stoic stare, but deep down he was impressed. “No way!” Wiluite said, eyes wide. “Told you it’s awesome having a mage for a friend, didn’t I?” Lithia said, nudging Zemia, who rolled her eyes. Arthur was ecstatic. His friends and family were amazed. They were cheering him on, calling for an encore. He clutched the talisman again; there was no holding back this time, he was ready to give it his all. It began to glow, much more intensely than before, as he drew all the power stored within. He felt an immense rush of energy course through him, once again filling him with vitality. No spell was beyond his ability now! He clasped his hands together and focused, it was time for him to get really creative. Suddenly, Arthur’s ears twitched. There was a noise, a crackle. He looked down. At that moment, something caught his eye; in the center of the bright crimson ruby was a tiny speck; a dark, whirling ethereal aura. It began spreading, its reach spanning across the whole jewel in seconds, until the cerise glow was completely consumed into the darkest shade of red. In that instant the rush of power he was feeling before had faded away. He felt his excitement vanish with it, a strong sense of dread took its place. A chill ran down his spine. In a panic, he made a motion to tear the talisman off his neck, but his arms grew weary, too heavy to move, his limbs betrayed his will. He gasped; it was if he had been bound by some kind of unseen force, invisible chains holding him in place. He was trapped in a paralyzed state. The magic spread beyond the confines of the trinket; he could feel it reach his arms, then his entire body. Arthur rose above the ground and started to levitate in place. Now he was truly frightened. Something was definitely wrong. He was no longer in control of his own self. “What is he doing now?” said Zemia. “Uh, is it supposed to be doing that?” Wiluite whispered to his friends, pointing at the talisman hovering in the air, the jewel lit up in an intense crimson glow, as if a raging fire had sparked from the inside, suspended by the chains binding the trinket to its host. “Something’s not right…” Clara said. The group just looked on, their amazement turned to confusion. Red-tinted sparks discharged from the center of the ruby. Bolts of lighting dispersed from the talisman, arcing into the air, striking the ground below. Zemia yelped, a bolt struck not more than a few feet from where she sat. Seconds later another bolt hit the ground near Clara, then another close to Wiluite. “Whoa! Dude, watch it! You almost hit us!” the green Kyrii yelled, jumping back, frantically dodging every bolt. “Arthur, you’re using too much power! You have to stop!” Lithia shouted, taking cover behind a log. “I…I CAAAAAN’T!” Arthur shrieked, his voice ringing with agony. The power had taken its hold over him. Dark magic poured into his eyes, washing away the color, forcing his eyes shut. The lightning intensified, bolts scattered in all directions, illuminating the ground in bright flashes of red and white light. “Everyone get back!” Parlebb shouted, bracing himself in front of the group, pushing them away from the chaos unfolding around them. Lithia raised her head. She leaned in, her eyes widened and her ears perked at a sudden realization. Without warning, she vaulted over the log and dashed straight towards Arthur. “Lithia, what are you doing? !” Zemia called out to her. “We have to get that amulet off him!” Lithia shouted back. “No, Lithia, wait! Don’t—!“ Wiluite yelled. There was no stopping her. She hopped at top speed, picking up enough momentum to dodge every bolt, leaping out of the way just in the nick of time. When she got close enough, she lunged at her friend, reaching for the chains holding the talisman around his neck. In an instant, Arthur turned; his eyelids slid open, revealing a glowing red void where his eyes used to be, leering at her. Sparks emitted from his fingertips, followed by a bright flash of light tearing through the darkened sky. Lithia did not even have a second to think about dodging out of the way, before the lightning made contact, striking her right in the chest with such force, launching her into the air. She flew several feet before crashing to the ground, coming to a stop as she rolled on the grass. She lay there on her side, sprawled, motionless. Everyone was shocked. Zemia gasped and Wiluite stared with wide-eyed fright, hands clasped over his mouth. Parlebb reached for his sword, baring his fangs. Clara was about to rush over to her, but her brother snatched her by the arm. “Don’t! He’ll get you too!” he warned. The barrage of lightning came to a sudden stop. Arthur dropped to the ground, falling to his knees. Moments later, he stood up. His friends and siblings stood there, paralyzed, as they found themselves staring into a pair of leering, crimson eyes. He started moving, slowly, as if caught in some kind of trance, straight for them.